It’s been a tough 3 weeks of training since my last race in Woodstock, but I came in to my favourite venue at my favourite race series on an emotional high. The final result (click here to view) is best described by Lou Brown in Major League 2. However, my second win of the 2014 season started off with a little bit of a scare. After a good warm-up and little recon of the course (ie. getting to know which potholes to avoid if I wanted to keep my front wheel intact), I was heading out to the start line when I caught a glimpse of the great Dave Frake racking his bike. 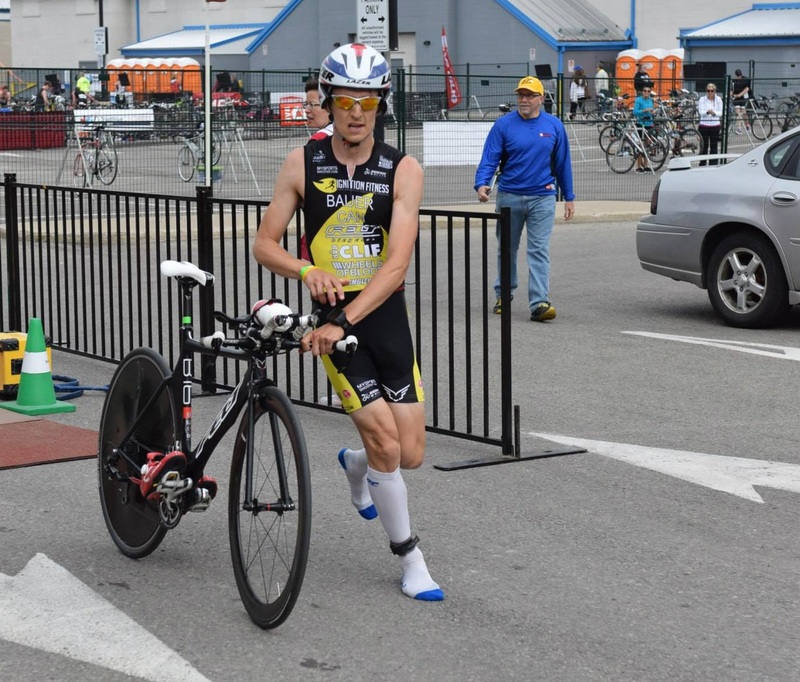 As he had just come off setting a course record at the Real Deal Gears Thursday Night Time Trial, I was a tad relieved to hear that he would be competing in the duathlon relay (where he put up a stunning 41:24 split on the 30km bike). The target on my back was quickly apparent when series director John Salt called out in front of the entire field asking Larry whether he was going to run me down or not! Before the horn, I could definitely tell my strength on the run was well-known, as I was basically pushed right to the front. I had PLANNED to let someone else take the lead across the bridge before taking over as we hit the fitness path, though this seemed to signal otherwise. Luckily a new face, Mike Park from Clinton, swooped in and surged to the front. I was more than happy to work in tandem with him on the first run, and it was actually quite nice to get to know this dude. Some strong running today from him (stealing my R2 bonus in the process! 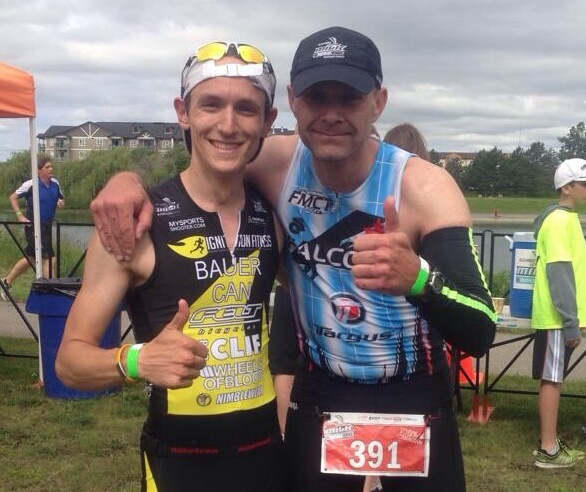 )…some more miles on the bike may make him another 20-something to watch in Ontario duathlon! We cruised through, clipping off about 3:18’s before I drifted away from him with about 600m to go in the first run. 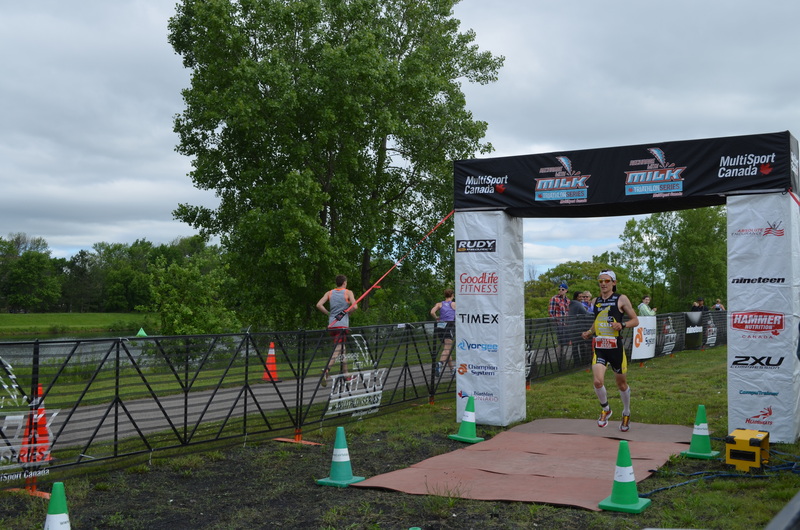 I rolled in to transition with a very strong 16:34 5k (that felt a little too easy to be true) and a healthy lead over my major competitors in the race. 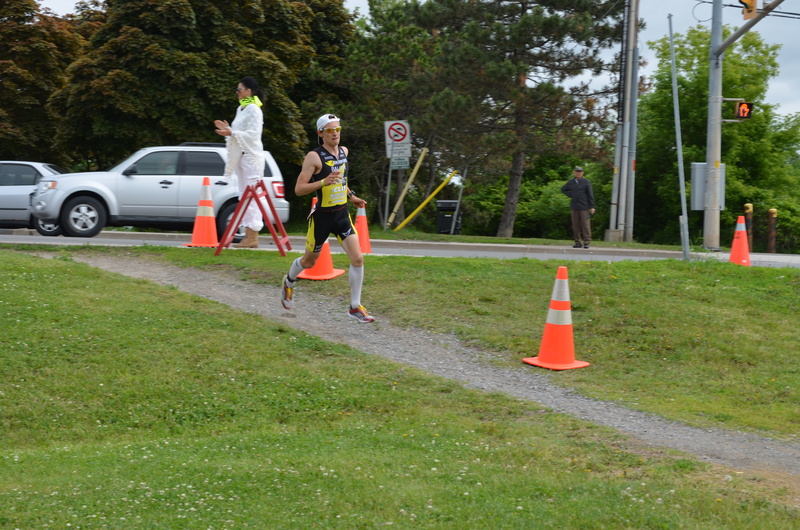 My transitions in this one could have been cleaned up a bit, though the duathletes had a tough rack spot in transition. Each transition involved a U-turn close to the run in/out that resulted in a longer run to and from our bikes, but as they say, it’s the same for everybody! Mother Nature definitely had her say on the bike. The winds were gusting over the canal today, which led to some nasty crosswinds on the short jaunt along the canal before the first right turn…straight into the headwind. Headwinds are made for the super-cyclists of the world, not for the 125lb rabbits who are just looking to minimize the damage on the bike. I attempted to settle into a groove, and found a semblance of one on the way out. The time trial start of the triathlon really helped to reduce the congestion on the course as I rode terrified of the monsters chasing me from behind. 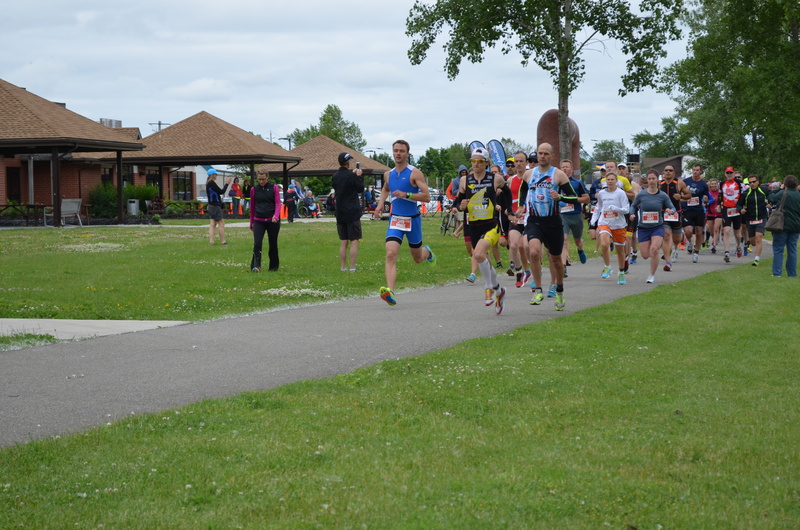 Surprisingly, I managed to make it to the turnaround with my lead intact, but the bad news was coming…Dave Frake, Larry Bradley, and Grahame Rivers, all in quick succession, less than a minute back. The tailwind helped keep them at bay for another 4-5km, but Grahame made the pass just before 20k, followed by Frake closer to 5k. 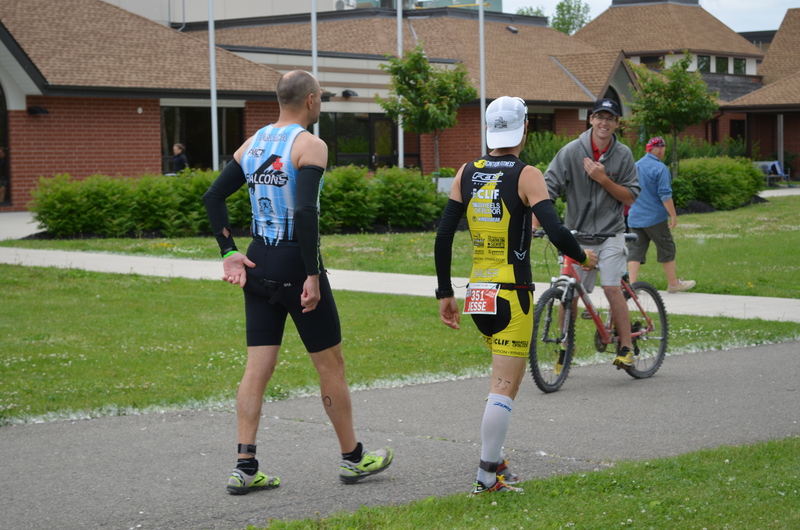 Though Larry was charging hard, I managed to hold him off as we entered transition with a new 30 duathlon PB. Data nerds, click here for my Strava file. Definitely much better pacing on this one than in Woodstock, undoubtedly helped along by the flat course profile! Emma fed me the time gap heading out of transition, so I was out on the run knowing I had a 75 second gap to make up on Grahame after his wicked duathlon-best 42:04 bike split. My legs were feeling the strong push into the headwind on the way out, but I was confident. Training has been going fantastically, and even though all my charts said I should be tired I know I am strong right now…especially on the run. After cruising over the bridge and navigating the tight turns around the cones, I went hunting. I made the catch just after the first turnaround (tons of credit needs to go out to Grahame here…to ride like that after a tough first run is stunning to see, and to know that he went from 5 minutes back over a shorter distance three weeks ago to 2 minutes back today is impressive…and a bit terrifying). From there, I just followed the lead bike back to the finish line where I crossed in a time of 1:24:24, shy of Tommy’s course record but with some gas left in the tank. Saturday was exceptionally special because I got to share it with some of my biggest supporters. Not only was Emma there, my rock and number one fan, always cheering her heart out and taking fantastic pictures (not easy to do both apparently! ), but my parents were able to fly in from Edmonton to see me race for the first time since Worlds in Ottawa last year. You three are always there for me when it gets tough, and this sport can be incredibly tough, so thank you. And I hope you enjoyed that win Pops…Happy Father’s Day! Big thanks to send out to Coach Tommy at Ignition Fitness, I’m proud to wear the yellow flame for you at all of my races. 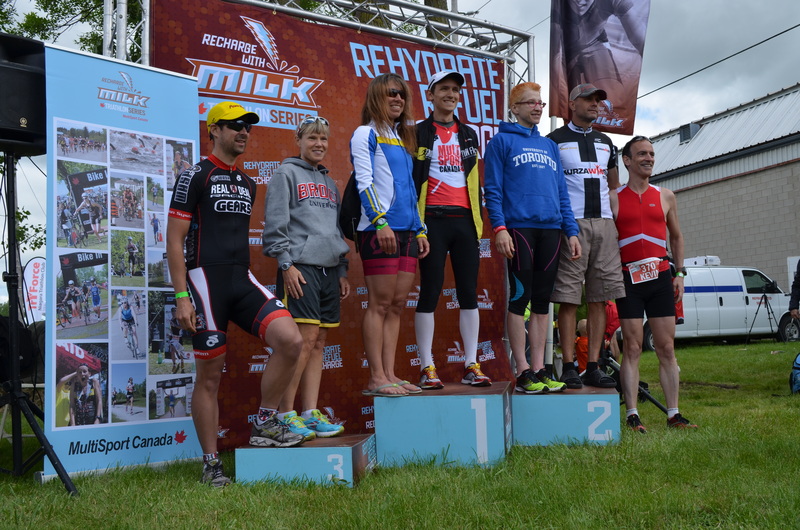 John and the gang at Multisport Canada, you did it again. Another impressive event…I’m proud to fly the MSC flag as part of the Recharge With Milk Ambassador team. Felt Bicycles and Wheels of Bloor, I’m loving my new Felt B16 more and more with every race and training ride, and I live and die by my Clif Bars and Shots for nutrition during training and racing. Next up for me is MY BIG RETURN TO THE TRACK, as I take on some trackies in an assault on my 5,000m PB at McMaster on June 23…what better place than where the Canadian high school record was set? 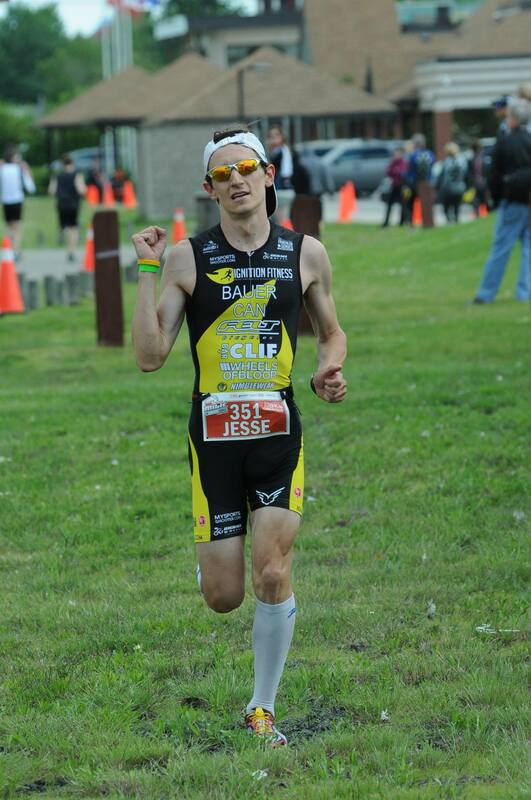 After that, it’s back to the batcave for my final prep for the Canadian Duathlon Championships at the Toronto Triathlon Festival on July 13 and my destination race of the year, the USA Duathlon Championships in St. Paul, Minnesota on July 19. Exciting times lay ahead! So until next time…keep Du’ing it!